JP Monroe purchases an ornamental pillar from a strange man in an antique shop for some money. No idea how much. No one knows. He's going to display it in his club - The Boiler Room - along with all of the other grotesques he has there. But he keeps it in his bedroom. Yes. This is the film where the franchise starts to break down. Joey, a reporter, witnesses a nightclub goer ripped apart with chains from a mysterious box while at a hospital one night. Her investigations lead her to The Boiler Room, douchey owner JP Monroe, and of course the now named, Pinhead. 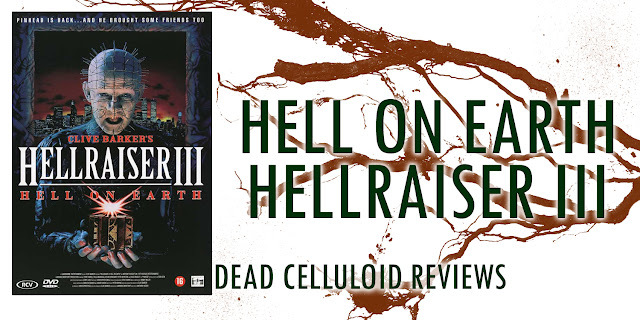 On paper this works as a further sequel to the franchise, but even from the beginning, it is plagued with problems. The first is that Clive Barker is no longer a creative mind in process, limited to "based on character's created by" as his credit. Falling almost at the first hurdle, the pillar Monroe buys at the beginning of the film is clearly different to the one at the end of the second movie. Okay, I can forgive that, but it is the little things. The introduction of reporter Joey (Terry Farrell - Star Trek DS9) is fine, and she's a good solid actor. But when the hooks kill the kid at the start (with some pretty cool FX) I'm left wondering how? I thought the hooks were Pinhead's weapon of choice? And he's in a pillar, isn't he? Huh? Anyway. Monroe feeds victims to Pinhead, after he spills a small amount of his own blood on the pillar and awakens the cenobite himself, allowing him to grow in power. It's a little hokey, but fine, and definitely a little slow, but it's a good callback to the previous awakenings of Uncle Frank and Julia. All the while Joey investigates the box, the club, and has surreal dreams about her dead father. When Pinhead is finally released from the pillar 49 minutes into the movie (yes, amazing character actor Doug Bradley revives his most famous role to date to spend over half the running time as a talking head in a box) the best and the worst begin. Pinhead massacres the clubbers, and when Joey arrives, him and his new cenobites fight Joey for the Lament Configuration. The climax has the spirit of Capt. 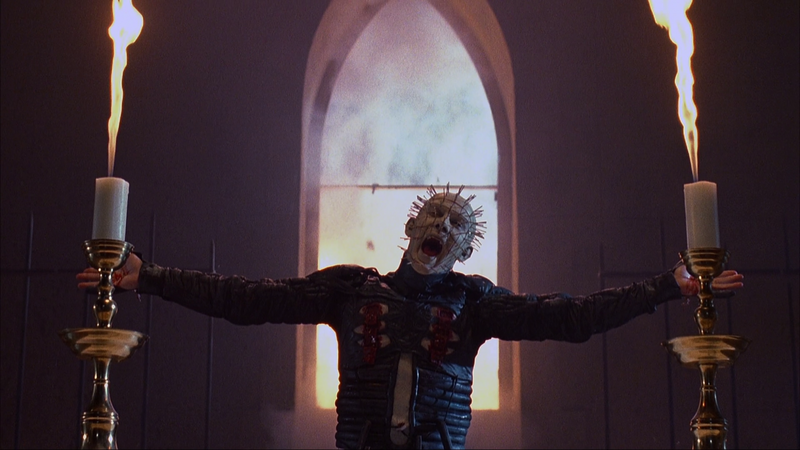 Elliot Spencer (Doug Bradley) melding with Pinhead, and then being stabbed by the Lament in it's "daggery" form. Joey then plunges the box into conveniently wet sequel cement which turns out to be the foundation of a building where the Lament Configuration is the main design. The acting is all over the place. Bradley and Farrell are good to excellent in places, but apart from that none of the actors are solid. A VHS playback of Kirsty Cotton (unused scenes from H2) is a nice touch to tie the movie in. The gore is well done. The overall story is pretty decent. 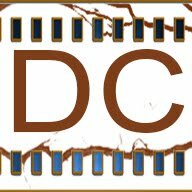 Director Anthony Hickox does a reasonable job, nothing outstanding, but nothing to be ashamed of. So there are highs. But what's wrong with it? It's inconsistent. Released one year after A Nightmare on Elm Street (6) Freddy's Dead, Pinhead is written as a wise cracking, cackling buffoon of a villain. It's completely out of place with the earlier movies - and even most after. 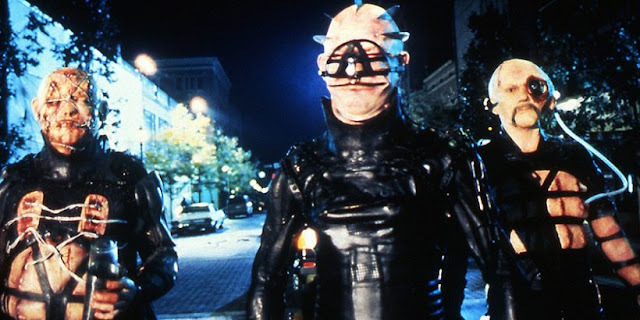 After the cool club massacre, Pinhead is joined by a new team of laughable cenobites (Pisonhead, Camerahead, CD, and Dreamer (!) among others). Where did they come from? Who knows? They're just suddenly there. There are scenes of dreams being manipulated, spirits of people interacting with the modern world. None of these themes are present in the movies before. You open a door to hell, and the risen tear your skin off. You enjoy it. Hell Raiser. Geddit? Underneath it all is a substandard Hellraiser movie, but with a supplement of beer and snacks, a watchable movie so long as you don't pay too close attention. At least it is a Hellraiser movie. The lore is there - although messed with - but there are enough callbacks and references to make it feel a part.